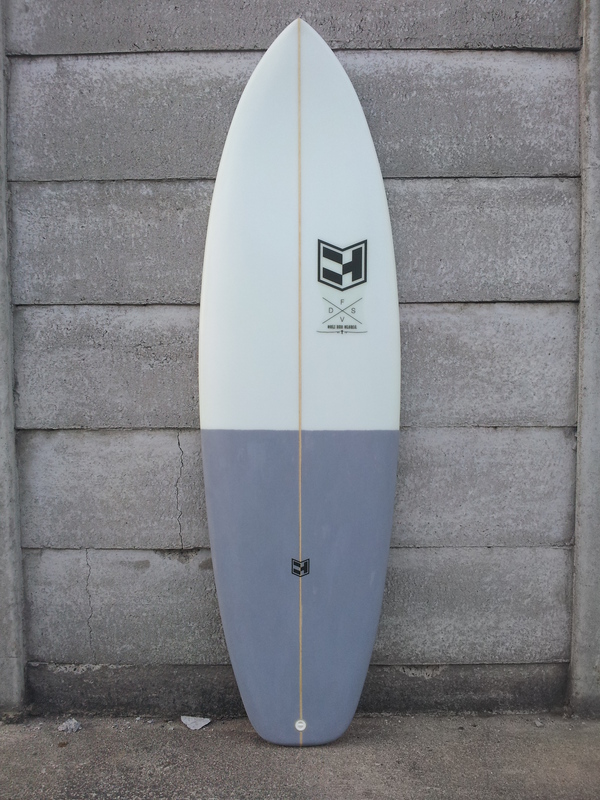 The Raggy is a medium volume, performance orientated hybrid surfboard. Snappy handling, volume forward foil to aid paddling and a pretty complex bottom, makes this a great all-rounder. Beginner through advanced. You’re keen to surf more aggressive, but those super skinny spear boards just does not work for you. At the very large side of sizing, the Raggy is a beginner board for guys who don’t want to surf longer boards. Middle sizing will see weekend warriors enjoy higher wavecounts and easy takeoffs, with tons of stoke, and at the smaller end, advanced surfers will enjoy the versatility of extra volume over a performance sled as well as how well this board handles when you need it to. The Raggy is ideally ridden in waves from 2.5 foot to where your guts and or skill run out. HV High Volume – for bigger surfers, or novices, (more unfit riders) more volume built into the foil for more buoyancy. Fiver – enquire about additional costs involved with ordering a fiver before ordering.